Vital Images is fully engaged and ready to announce two new products and demonstrate a third at the 2017 HIMSS Annual Conference & Exhibition. Held February 19-23 in the warm sunshine of Orlando, Florida, this conference attracts more than 40,000 health IT professionals, clinicians, executives, and vendors from around the world. There will be more than 300 education sessions, 1,200 exhibitors, and all the networking opportunities that you can possibly tolerate. Vital has been part of this annual conference for close to a decade, but this year our excitement is mounting because of the ‘game-changing’ solutions we are offering: Vitrea® VNA connect deployment and Olea Pulse™, powered by Olea Medical®. The Vitrea VNA connect deployment is a fully-aware monitoring and retrieval technology allowing for centralized access to images that are in disparate PACS. Engineered to support multi-site and unaffiliated entities, a wide range of capabilities are available including patient matching, DICOM data alignment, pre-fetch and distribution. Olea Pulse is a fully automated CT/MRI post-processing solution with automatic and instant report delivery by email to enhance confidence and productivity. This year at the HIMSS conference, we also plan to demonstrate a work-in-progress predictive financial analytics application. This new product helps healthcare leaders see the future financial success of their imaging businesses and receive prescriptive recommendations for achieving revenue and cost saving opportunities. The presence of these new products is truly innovative and brings interoperability in the clinical setting to a new level. We could write and publish numerous documents for you to read about what these solutions can do for healthcare ecosystems, like yours, but why not just see it for yourself? If you’re at HIMSS, stop by our booth (#3969), or schedule a demo and see how these products positively influence workflow as well as impact organizational productivity and outcomes. 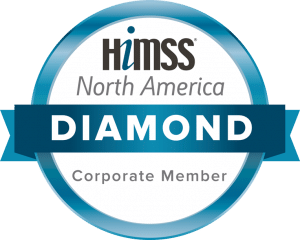 There is a tremendous amount to see and do at the HIMSS conference, and we encourage you to visit Vital at your convenience because what we will show you can make a significant difference to your efficiency. Also, as discussed in my previous blog, there are opportunities to refresh and enlighten yourself during the conference, including a unique moment of Japanese tranquility called ‘The Way of Tea.’ Watch for more information on daily happy hours, a social media campaign and special visits scheduled at our booth with health IT visionaries like John Halamka, MD, MS; Bill Spooner; and David Mendelson, MD.